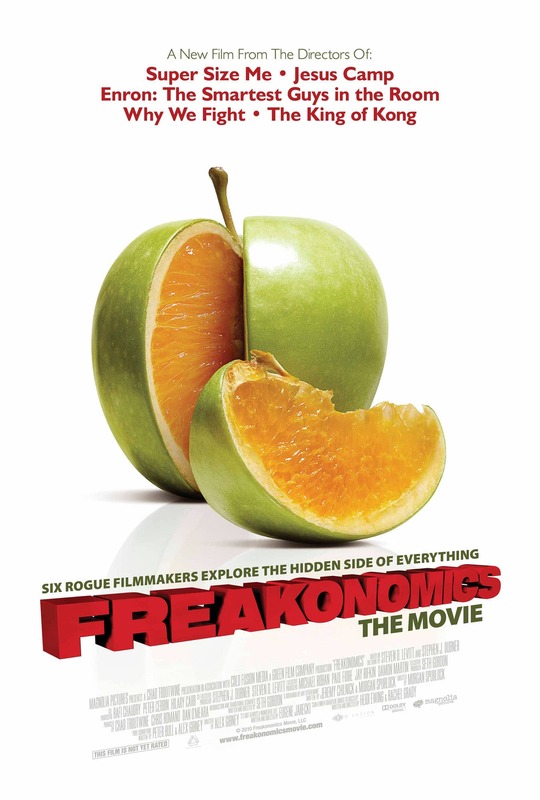 FREAKONOMICS is 66% Certified Fresh! Take the most successful documentary directors working in Hollywood today, match them to the most compelling chapters from a worldwide best selling piece of non fiction and you have FREAKONOMICS the movie. Alex Gibney delivers a visually arresting look at the crumbling façade of Sumo wrestling and exposes searing and violent truths about this ancient and revered sport. Morgan Spurlock offers up a buoyant and revealing angle on the repercussions of baby names. Rachel Grady and Heidi Ewing balance levity and candor with their eye-opening profile of underachieving kids incentivized to learn with cold hard cash. Finally, Eugene Jarecki, who brought us the unforgettably powerful WHY WE FIGHT, investigates an unsettling theory to explain why crime rates dramatically dropped in the early ’90s. Seth Gordon weaves the pieces together with brisk interludes, providing context and commentary from the authors. FREAKONOMICS exposes the hidden side of everything, debunking conventional wisdom, and revealing what answers may come if one just asks the right questions. FREAKONOMICS is economic detective work, social theory and investigative journalism all at their most compelling and it is deeply unorthodox in its approach.